Mantras are simple phrases that bring your attention to important values or principles. Some examples of mantras are: Be here now, You are creative, or Do more with less. Your daily mantra displays at the center of Momentum in place of the default greetings (e.g. “Good morning, Jen”), and changes each day at 4 am local time, just like your daily photo and quote. 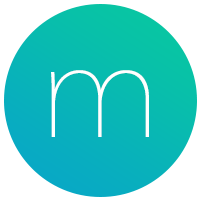 Mantras can easily be turned on or off in the Mantras section of Momentum's Settings ⚙️. If you turn Mantras off, you will see the default greetings (e.g. “Good morning, Jess”) instead. Click the Settings ⚙️icon at the bottom left corner of Momentum. Click Mantras on the left of side of Momentum's Settings ⚙️menu. To enable, click the Get Started or Enable Mantras button. To disable, click Settings at the top right of the Mantras menu, and then click the switch next to Enable Mantras. If you really like a mantra, hover your mouse cursor over it, click the ... that appears to the right and then click the Heart ♡ icon to favorite it. To unfavorite, click ... again and then click the Heart ♥ icon. You can view all of your previously favorited mantras, and a full history of the mantras that have displayed on your Momentum page in the Mantras section of Momentum's Settings ⚙️. Select the Favorites or History section to see a list of mantras. To skip a mantra and prevent it from being assigned to you again, hover your mouse cursor over the active mantra, click the ... that appears to the right, and then select the Don't show again option. By default, your greetings and mantra will display randomly throughout the day. If your greeting is displaying and you want to see your mantra instead, hover your mouse cursor over the greeting, click the ... that appears to the right, and then select the Show mantra option. The Mantras features below provide an extra level of customization to your Momentum page, and are exclusively available to Momentum Plus members. Personalize your Momentum page by adding your own mantras. Instantly refresh your Momentum page with a new Mantra. Change your active mantra to any others in your My Mantras, Favorites or History collections whenever you like. With the Pin feature, you can set a mantra to display for the entire day. The mantra Frequency options let you adjust how often your Mantras appear versus the "Good morning/afternoon/evening" greetings. If you're interested in these extra Mantra features, upgrade to Momentum Plus to gain immediate access, along with all of the other exclusive Plus member benefits!